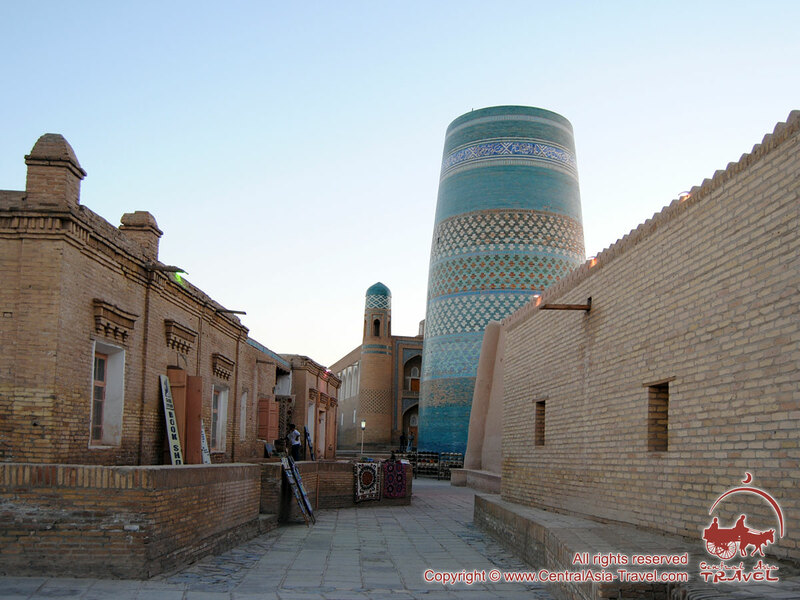 The madrasah and minaret ordered to be built by Muhammad Amin-Khan in 1845-1855 in Khiva was supposed to be one of the grandest architectural ensembles in the Islamic world and to demonstrate the power and might of the Khiva Khanate, which had for centuries had managed to stay independent despite the numerous attempts to conquer it by various Central Asian powers. 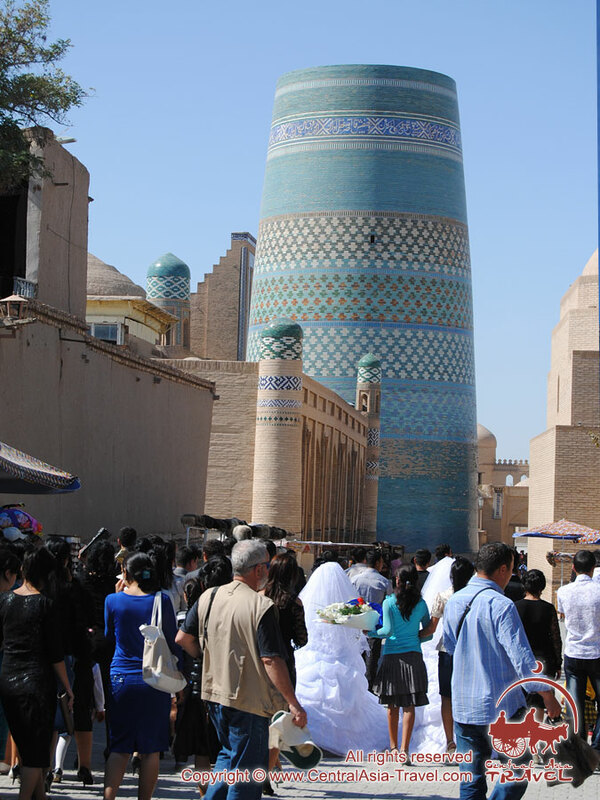 However, the khan’s dream did not come true. 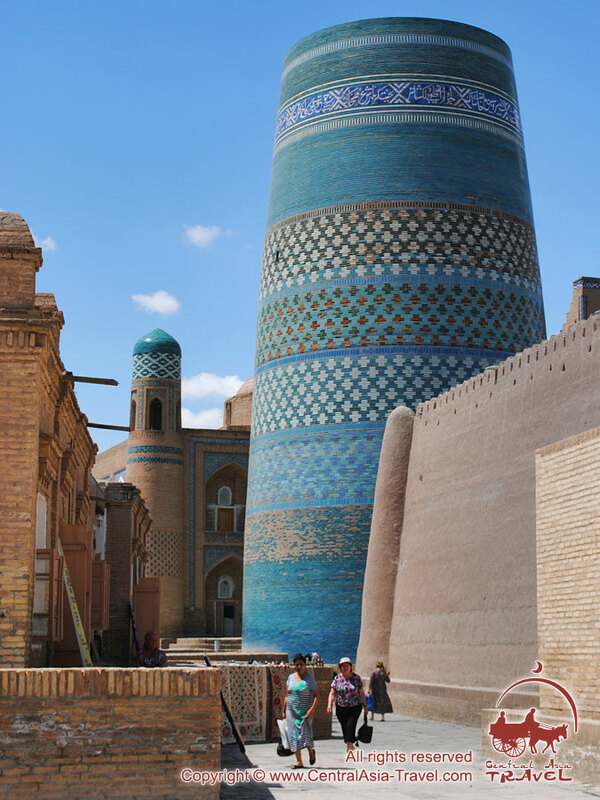 Although Muhammad Amin-Khan Madrasah was completed to become one of the largest in Central Asia - having been admired for over 150 years already - its fame was overshadowed by the unfinished minaret standing next to it. 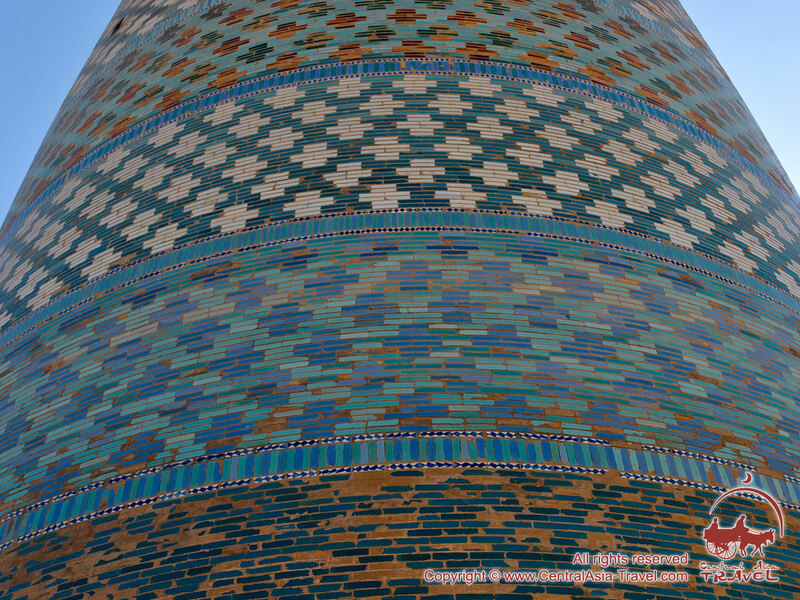 Kalta-Minor Minaret, which means ‘short minaret’, did not become the proper complement to the majestic madrasah. 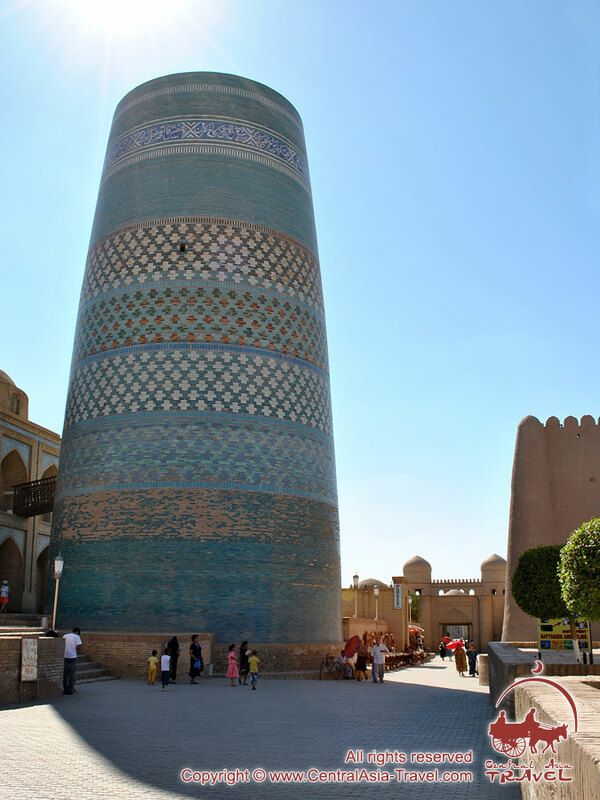 In 1855, Muhammad Amin-Khan, dreaming that his minaret would be 80-meter tall and surpass the 46-meter-tall Kalyan Minaret in Bukhara and the 72-meter-tall Qutub Tower in Delhi, was killed in a battle against Turkmen tribes near the city of Serakhs during his military campaign in Khorasan. 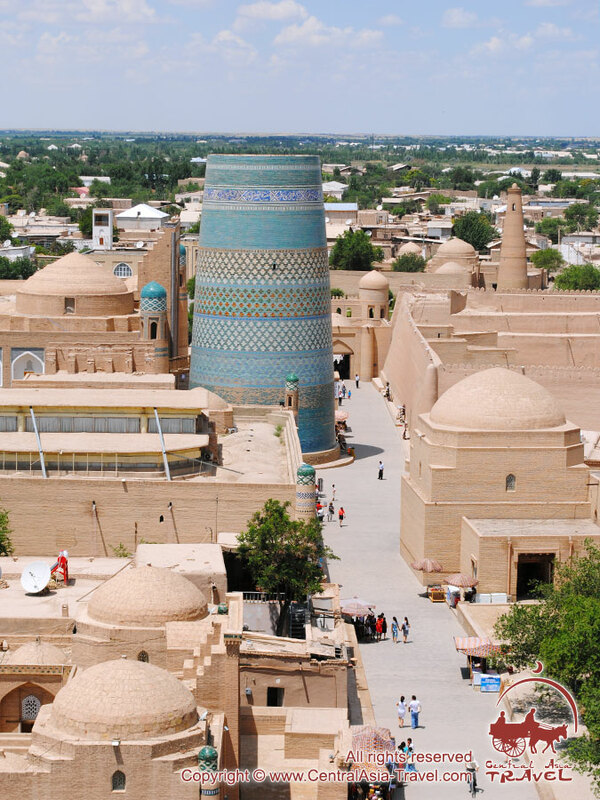 After his death the throne in the Khiva Khanate was successively taken by a number of khans; much of the treasury had to be spent on wars against Turkmen tribes, and so the construction of the minaret was suspended - and never resumed, as it turned out. 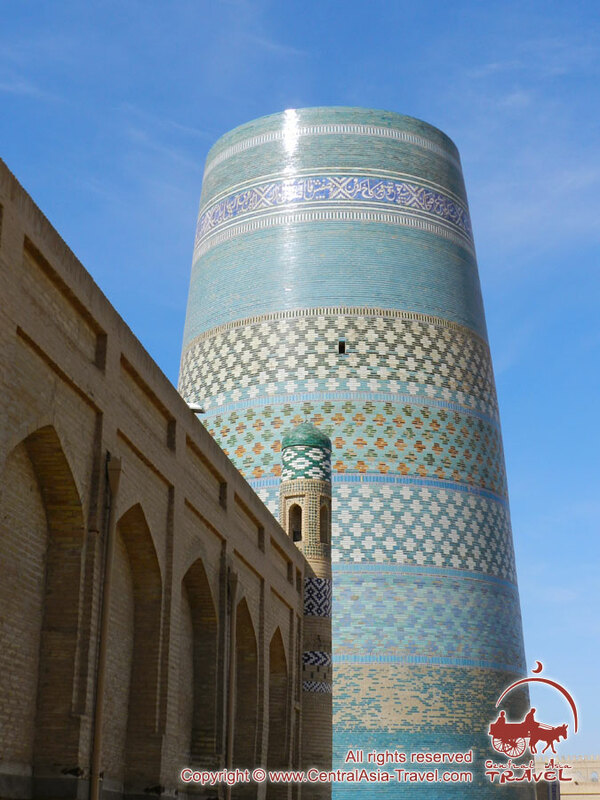 There are many legends explaining why the minaret is so short. 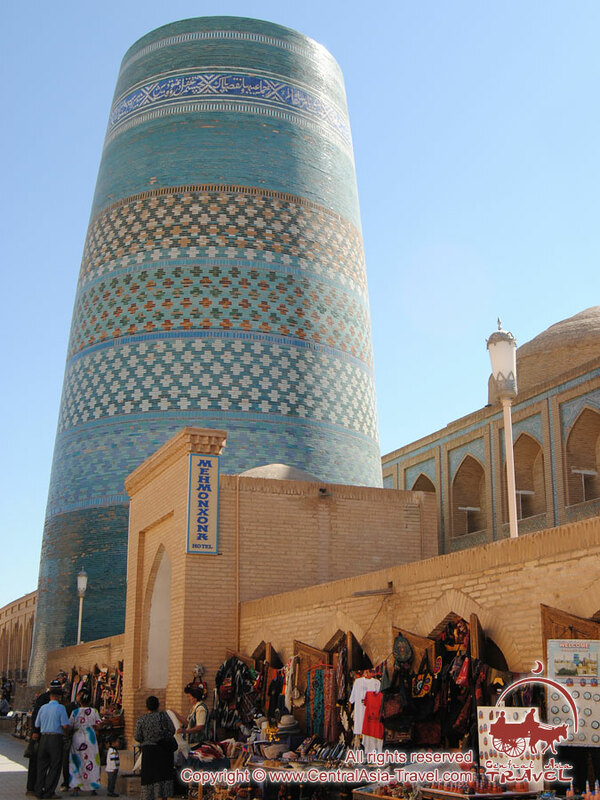 According to one of them, the architect responsible for the construction of the tower met a terrible fate - quite a common fate of architects in the medieval Orient: he was thrown off his minaret by order of the enraged khan who had learned that the talented master had accepted an offer from Bukhara khan planning to build a higher minaret in Bukhara. 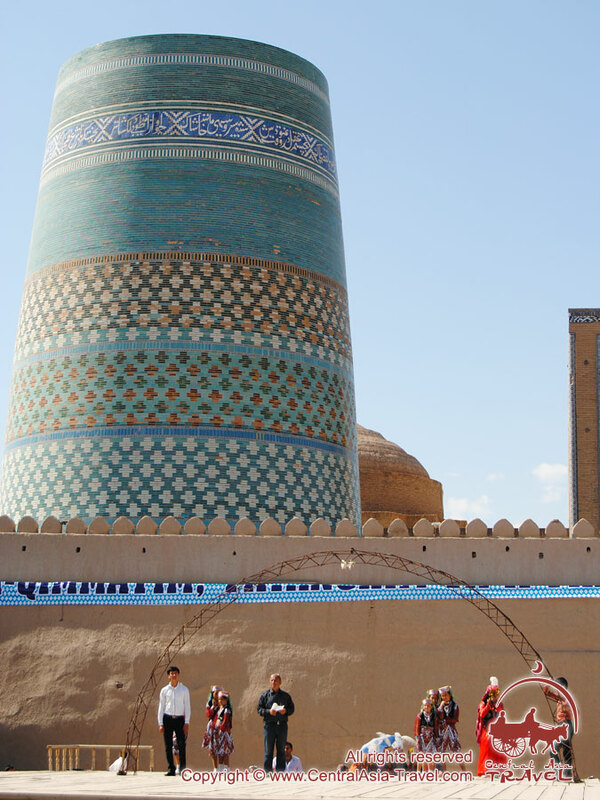 Following the execution, no architect risked completing the structure. 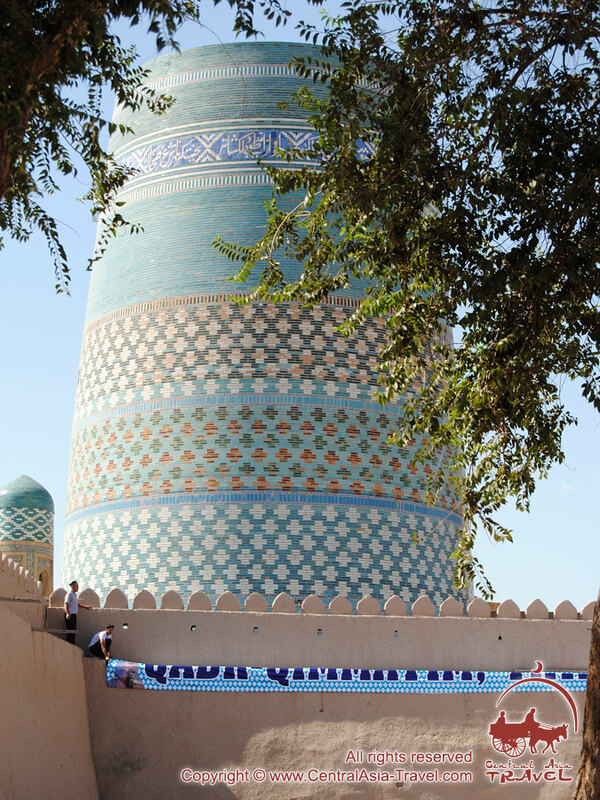 The minaret foundations reach a depth of 15 meters. 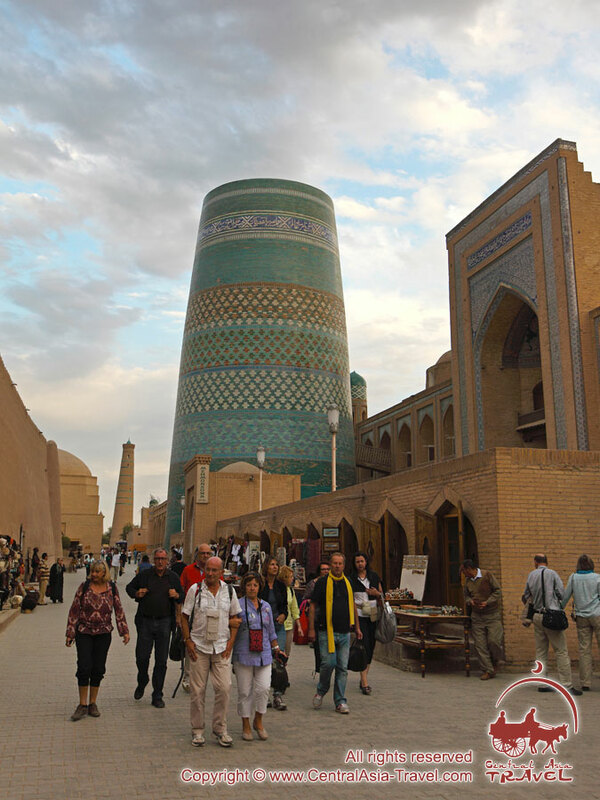 Its 14.2-meter diameter on the ground level had to gradually decrease as it went up so as to secure its stability. 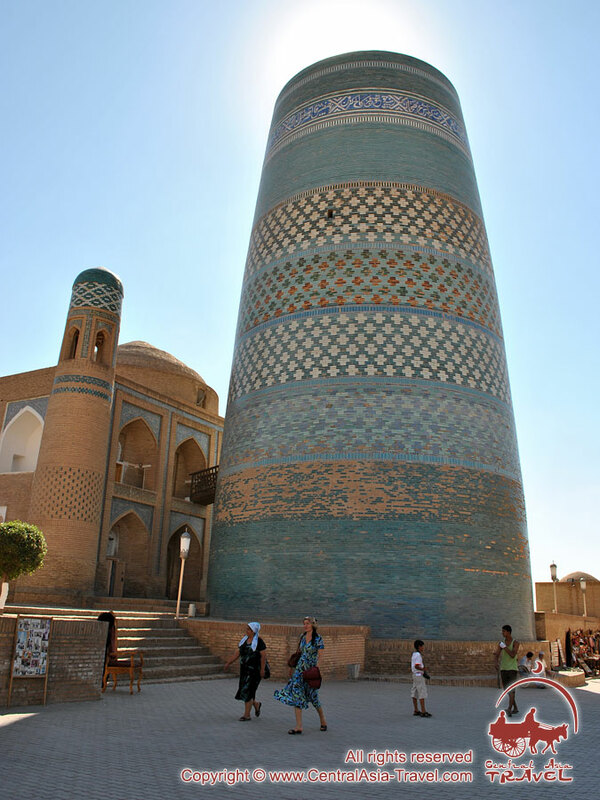 These figures can give you the idea how tall the minaret was supposed to be. 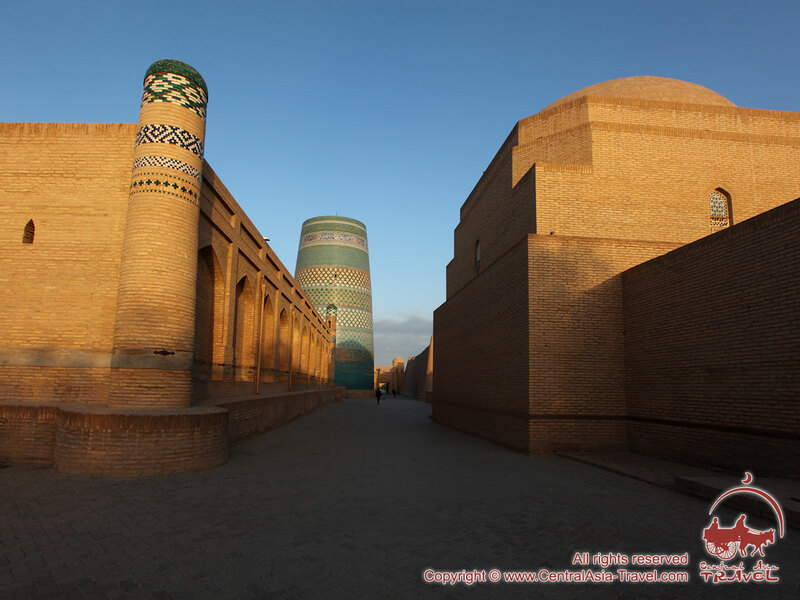 However, despite its incompleteness - and thanks to it - the 26-meter-tall structure outshined the grand madrasah next to it and became even more popular and attractive. 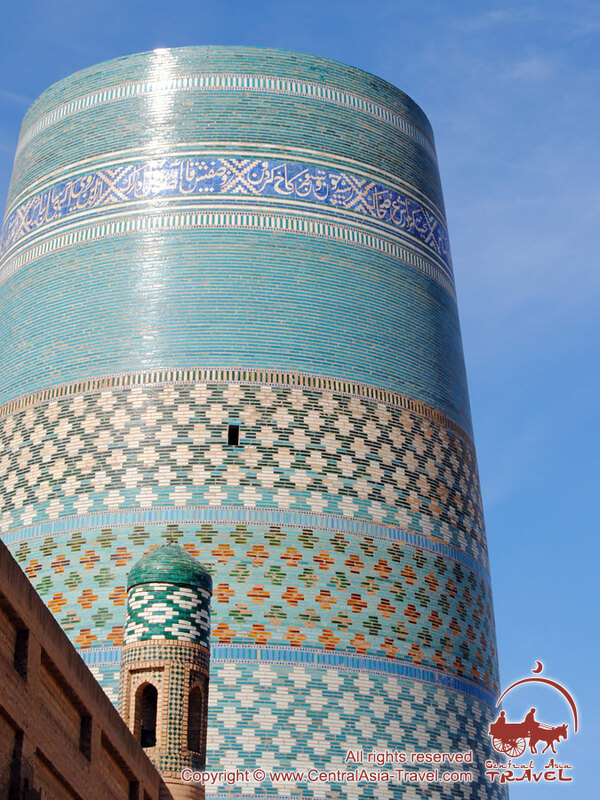 Besides, today the minaret appears to be a modern designer’s creativity fruit on the subject of the Orient - so very different it is from the rest old minarets in the country. 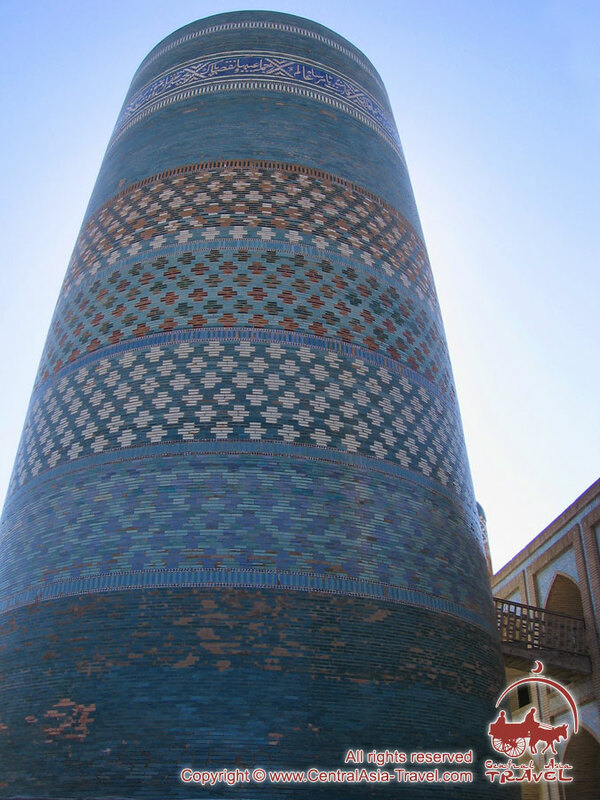 Kalta-Minor Minaret is also popular thanks to its decoration: the whole outside surface of it is decorated with the traditional dark blue, azure and white glazed tiles. 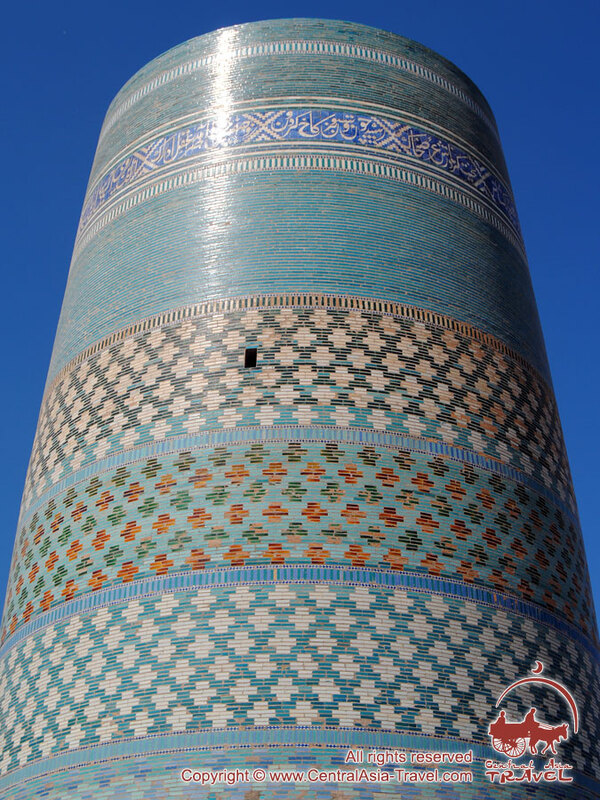 The pattern is three equally wide horizontal lines in the center of the tower and a line with Arabic ornate lettering in the upper part of it. 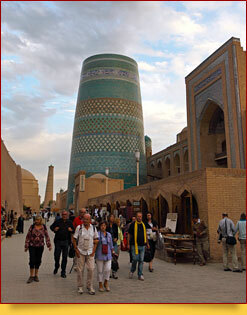 The decoration was made by the best Khiva masters after it was clear that the minaret would remain unfinished. 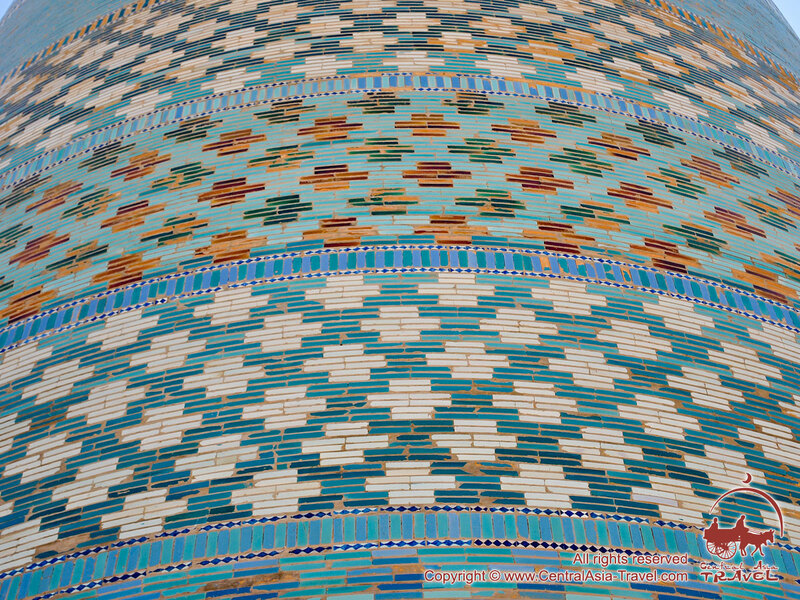 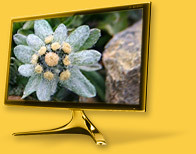 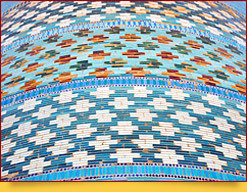 The purpose of the decoration was to create an impression of wholeness and completeness of the structure. 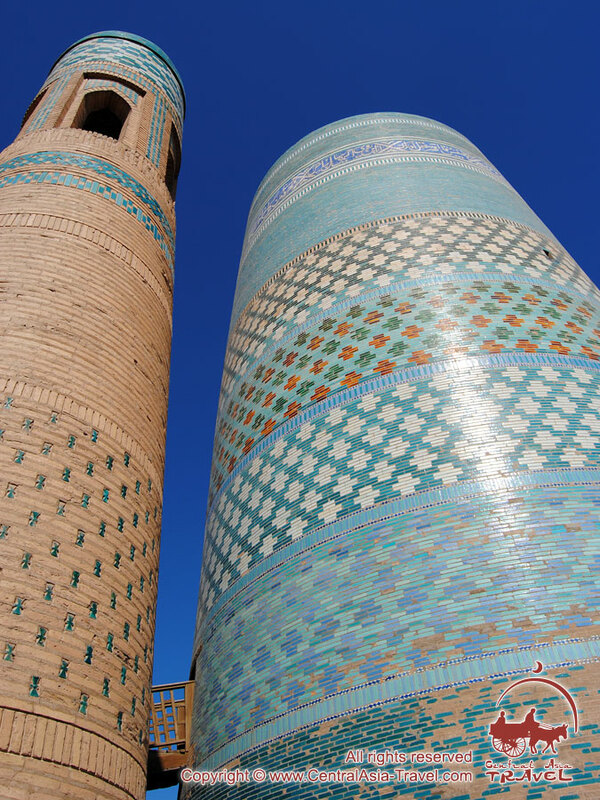 With the brightness of its decoration having lasted since the mid-19th century, the minaret, having no counterparts in Central Asia, really looks like a masterpiece of the modern architectural art. 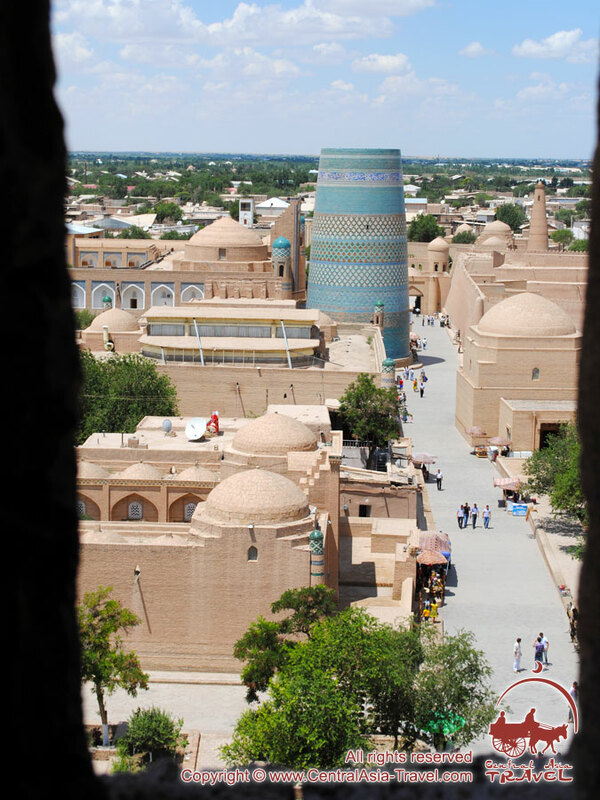 Today Mahammad-Khan Madrasah houses a hotel, a currency exchange office, an airline ticket office, a travel agency and a café. 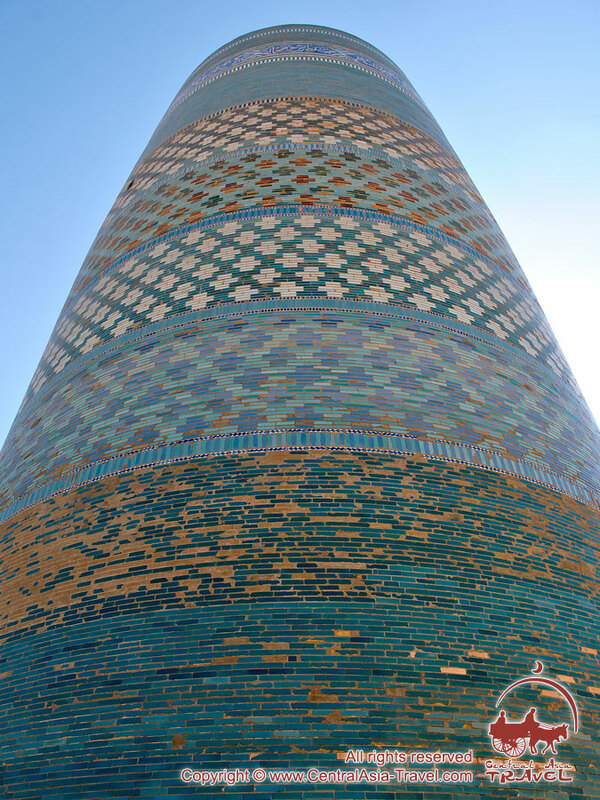 Kalta-Minor Minaret, which has never been used as it was initially supposed to, is just a remarkable sight of great historical and artistic value. 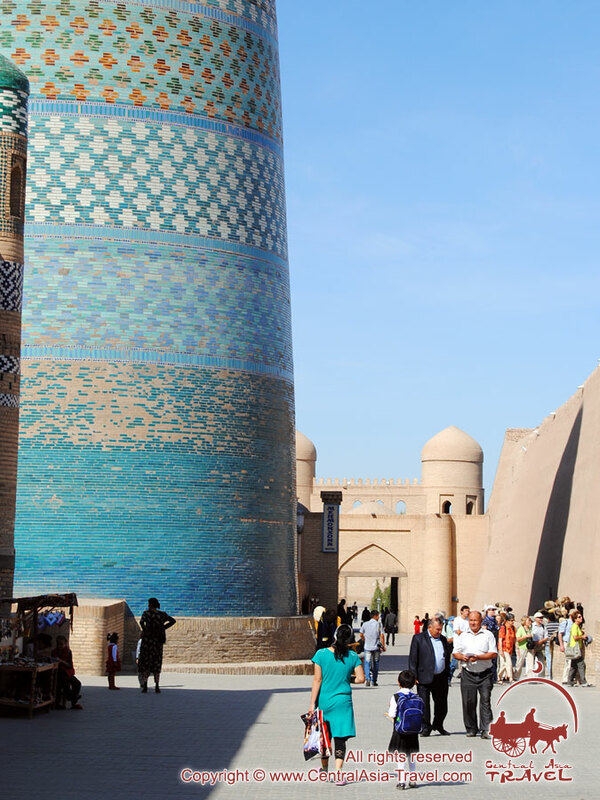 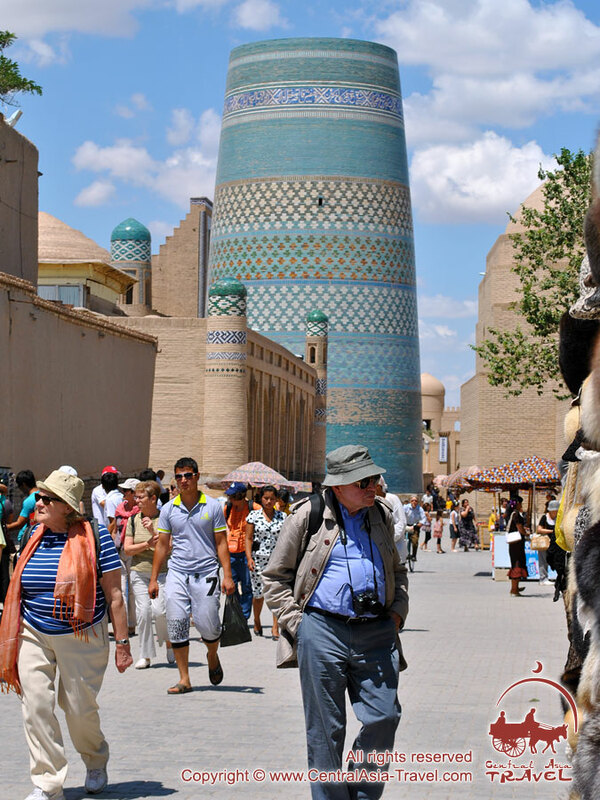 It delights the eyes of tourists and local people, and serves as an original reminder of the great history and collapse of the mighty Khiva Khanate.